Leading Manufacturer and Exporter of Mini Tractor & Spare Parts such as Tractor Silencer, Mini Tractor Parts and Tractor Air Cleaner from Rajkot. 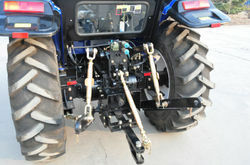 We also produce air cleaner assembly for tractor. 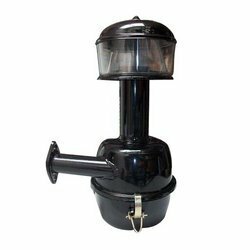 Made out of quality raw materials this pre cleaner is very sturdy and dependable. Besides, our production system allows us to maintain the quality of the spares to meet any tough condition with creating much of problem and asking for quick replacement. Offering Mini Tractor Parts for Mahindra, HMT, Simpson, Perkins, Kirloskar, dg sets, mini tractors. We hold expertise in manufacturing, exporting and supplying a high-quality range of tractor parts. Offered in different specifications, these precision engineered parts can also be customized as per the requirements of the clients. Fabricated using high-grade components, all our parts are subjected to stringent quality parameters before being delivered to the clients across the country. 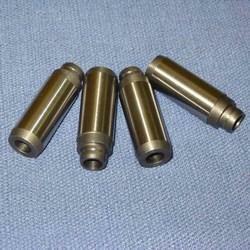 We manufacture high quality tractor silencers that are durable and have high heat resistance. They are highly finished to be friction free. We use fire enamel/glass coating paint which can bear the high change in temperature without damage. 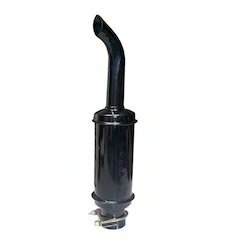 These exhaust silencer for agricultural tractor has a cylindrical body and closed at each end. The acoustic performance and specific dimensions of the chambers results in a smaller loss of engine power. We are manufacturer of Pitter Valve Guide. Looking for Mini Tractor & Spare Parts ?